Each year there are numerous bills introduced that would increase the felony threshold for larceny, which is currently $200. This threshold has been deemed by loss prevention professionals as one of the best or the best deterrent to shoplifting and internal theft. For that reason the VRF has consistently opposed legislation that would increase the threshold. This year the VRF continued its opposition of raising the felony threshold by lobbying against two bills, both of which would have raised the threshold from $200 to $500. Senator Bryce Reeves of Orange and Fredericksburg, and Delegate Surovell of Fairfax were the patrons of bills that sought to raise the threshold. Due to the opposition of retailers and other groups, Senator Reeves agreed to propose an amendment to his bill that will allow a first offense larceny to be handled as a forced program of monetary restitution, counseling and other mandatory requirements over one year rather than a misdemeanor or felony charge. This would leave the felony threshold at $200 and ensure that repeat offenders are still prosecuted under the felony statute. This bill was carried over for the year to enable the stakeholders to address a number of issues in the bill. The VRF will work diligently to insure retailers continue to be protected from shoplifters in the Commonwealth. If you have any questions regarding this bill or what this means for your business, please contact George Peyton of the Virginia Retail Federation at (804) 662-5505 or Margaret Ballard from the Retail Alliance at (757) 455-9395. This year legislation was introduced that impacts jewelry stores, antiques dealers, pawn shops, and all retailers that buy or take for pawn any precious metals, gems, or second hand merchandise. The bill, as introduced, would have required pawn brokers and precious metal dealers to either take a photo of each individual who pawned or sold an item to their establishment or take a picture of their photo ID. In addition, the merchant would have been required to take a picture of each individual item that was pawned or sold. The bill was carried over for the year to enable all parties impacted by this legislation to develop a bill that will be easy to implement and provide law enforcement with the information they need when they are investigating larceny or burglaries. The VRF looks forward to working with law enforcement and pawn brokers, jewelers, and all retailers that deal in second hand goods, to provide input from all stakeholders to develop legislation that will serve the needs of all parties. If you have any questions regarding this bill or what this means for your business, please contact Margaret Ballard from the Retail Alliance at (757) 455-9395 or George Peyton of the Virginia Retail Federation at (804) 662-5505. The Post Labor Day Statute which is currently in effect in Virginia essentially bars schools from opening before the Labor Day holiday, thus bringing more customers to Virginia businesses by ensuring a longer vacation period. This session there were nearly a dozen bills introduced that would eliminate this statute. The three bills introduced in the Senate were defeated in committee, however, all bills introduced in the House were combined with HB 1063, which was introduced by Delegate Tata. This bill passed the House of Delegates but was defeated in the Senate. The bill would have allowed local school boards to set the start day for their school calendars before Labor Day. The VRF along with many other business organizations opposed this change. The month of August is critical to the tourism, hospitality and retail industries and the tax dollars generated are critical to the Commonwealth for funding schools and other services. By helping to defeat this measure, the VRF helped to protect our Virginia businesses. Richmond, VA -- Legislation to close the loophole for Amazon sales tax collection in Virginia is headed to Governor Bob McDonnell’s desk for his signature. This week, both the House of Delegates and Senate of Virginia voted on a start date for Amazon sales tax collection in Virginia. The date is set for September 1, 2013. 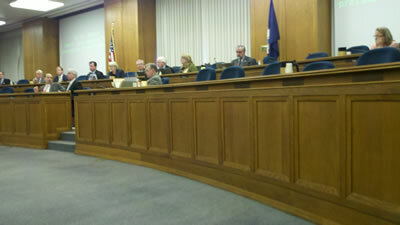 Both General Assembly bodies voted by a wide margin for the start date, 95 to 2 in the House and 37 to 3 in the Senate. "The brick-and-mortar retailers in Virginia are deeply grateful to Governor McDonnell and the General Assembly for recognizing the severe competitive advantage Amazon.com has gained with its unfair 5% sales tax advantage," said Margaret Ballard, Vice President-Advocacy for the statewide Virginia Retail Federation and regional Hampton Roads Retail Alliance. "We applaud the 2013 collection start date which is faster than other states recently forcing Amazon’s sales tax collection." "Our association has worked diligently on this issue for two years when our bookstores and other small members brought the Amazon loophole to our attention," said George Peyton, Vice President-Government Relations for the Virginia Retail Federation and Richmond's Retail Merchants Association. "This legislation will keep brick-and-mortar retailers in business, preventing job loss and creating jobs in stores that will now be able to compete on a more level playing field." 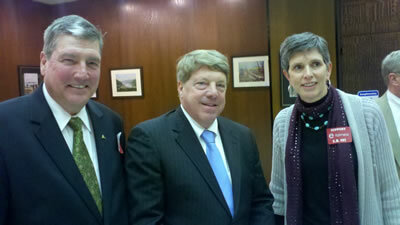 The Virginia Retail Federation is the advocacy arm of the Retail Alliance and the Retail Merchants Association. The Federation's mission is to advocate on behalf of local and regional independent retailers, as well as franchise and national retailers through a network of locally focused representatives and chapters that access grass-root retail communities throughout Virginia. Richmond, VA -- By a large majority, the full House Finance Committee of the Virginia General Assembly passed Senator Frank Wagner’s bill SB 597 which will close Amazon’s tax collection loophole in the state. The amended bill, providing a sales and use tax collection start date for Amazon of September 1, 2013, now goes to the full House of Delegates for a vote. If passed, it will go back to the Senate Finance Committee for approval. “This is a tremendous step in the right direction to provide a more competitive market for Virginia’s brick-and-mortar retailers,” said Ray Mattes III, president/CEO of Retail Alliance, the Hampton Roads retail association. 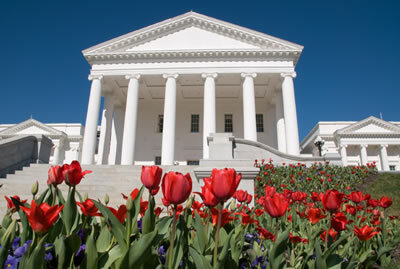 The regional group is represented by the statewide Virginia Retail Federation (VRF). “We have fought this battle at the General Assembly for two years. We greatly appreciate the Finance Committee’s understanding that consumers need to pick winners and losers in the retail market rather than state-created exemptions for Amazon,” said Mattes. Under the new language inserted into the bill, the 2013 collection start date will not take effect if federal legislation takes effect between September 1, 2013, and January 1, 2014. In this case, the remittance date will be January 1, 2014. If the bill passes the full General Assembly and the governor signs it, the language in the bill will become law and not a ‘voluntary’ agreement with Amazon. This will preclude other retailers from trying to implement similar tax loophole schemes. 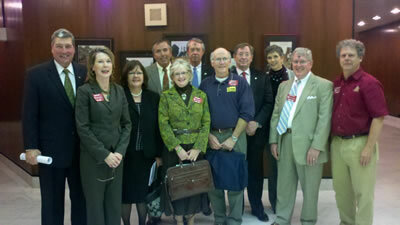 The Virginia Retail Federation is the advocacy arm of the Retail Alliance and the Retail Merchants Association. The Federation’s mission is to advocate on behalf of local and regional independent retailers, as well as franchise and national retailers through a network of locally focused representatives and chapters that access grass-root retail communities throughout Virginia.